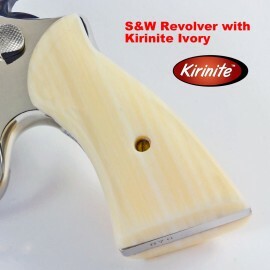 Reminiscent of original and hard to find S&W factory style grips from the 90's. Our Combat Contour grips are designed to enhance your gun control under challenging shooting conditions. Made of genuine Indian Rosewood, these extremely comfortable & rugged grips are in themselves a masterpiece. We use only the finest genuine Indian Rosewood. This wood is rich and brown in color with contrasting black grains. For years it is been used in the manufacture of fine furniture and quality musical instruments, as well as for grips on special presentation guns. 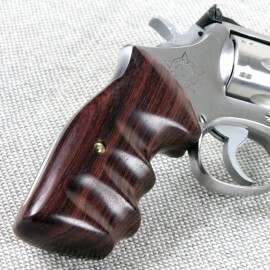 It's durability and beauty are equally at home on a handgun for presentation or daily use. Rosewood is rich in natural oils and polishes to an attractive shine without the use of varnish, stains or other artificial finishes. 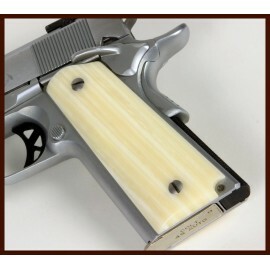 Rosewood grips are available in a variety of styles with either a smooth or and checkered finish. Please allow at least 2-4 weeks for these completely hand finished grips to be delivered to your door via USPS Priority Mail. For faster turnaround please call us at (800) 323-6144 and ask about our expedited services, which may incur additional costs. These grips are both attractive and functional. I don't enjoy full power .44 loads in a 4-incher, but these grips give you a secure grip without abrasive checkering. Great looking grips, fit well and give you a good grip. 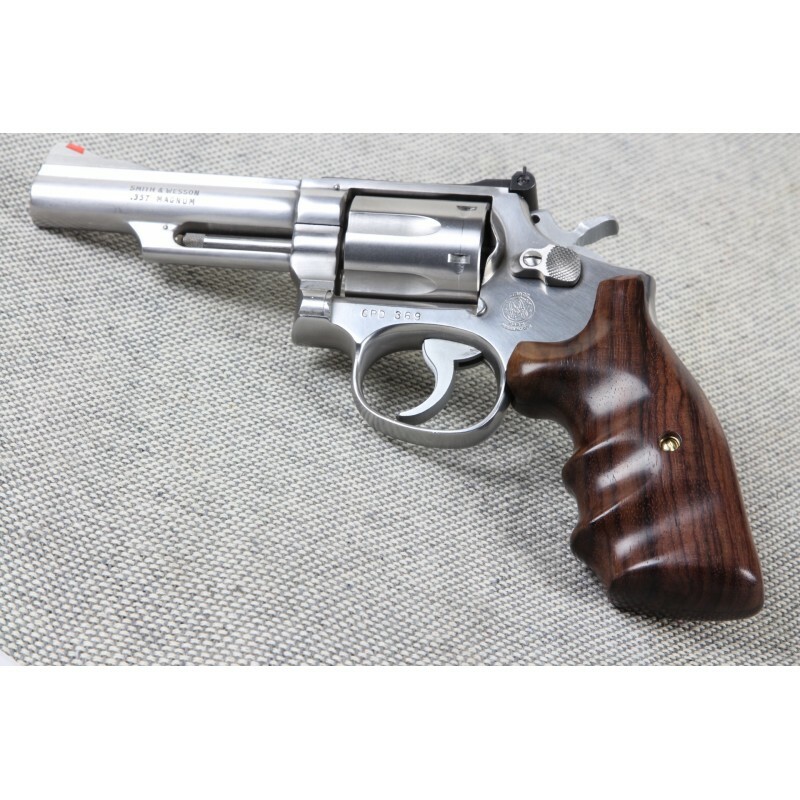 .44 Maggie is not easy to handle, and the stock grips, while attractive, have checkering and a narrow back. The Eagle grips are wider, and I bought smoothies, which I find more comfortable. They were so nice I bought a set for my like-new Mod. 15. 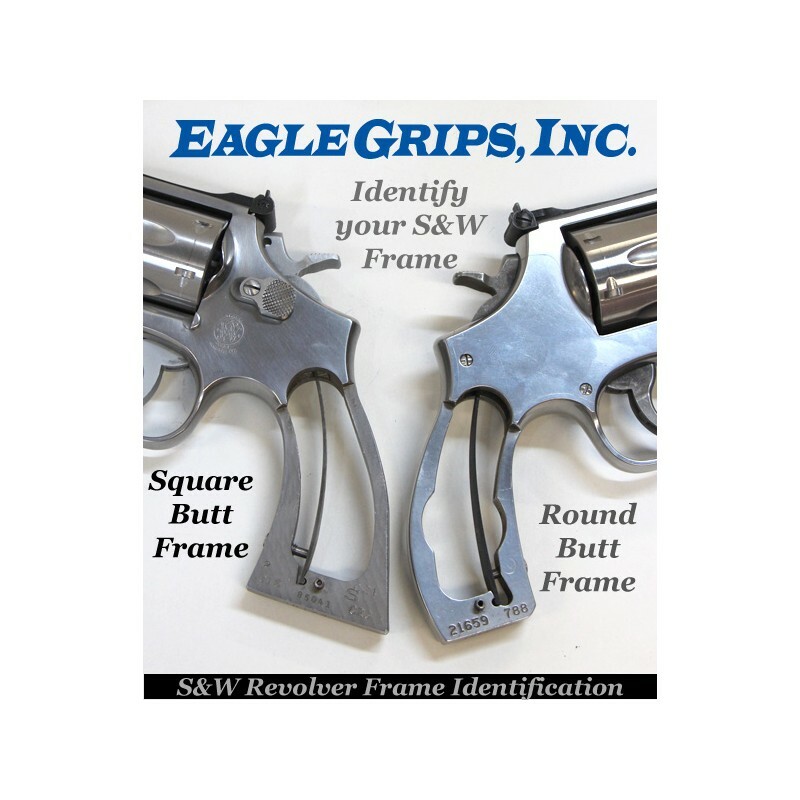 Very attractive grips - they really dressed-up my blued finish Model 27 and are much more comfortable that the stock grips. No fitment issues - excellent all around. Grips fit perfectly and are incredibly comfortable. I certainly would purchase again. High quality! I had ordered a set of grip for a 629 smith. It was at Christmas time, said there was a back up on orders. One month passed. Had to call and check on order. I got the owner on the phone at the first ring qnd he started that thay would be out first tHong in the am. It was just as he said. Great custermer service. Fit was great! 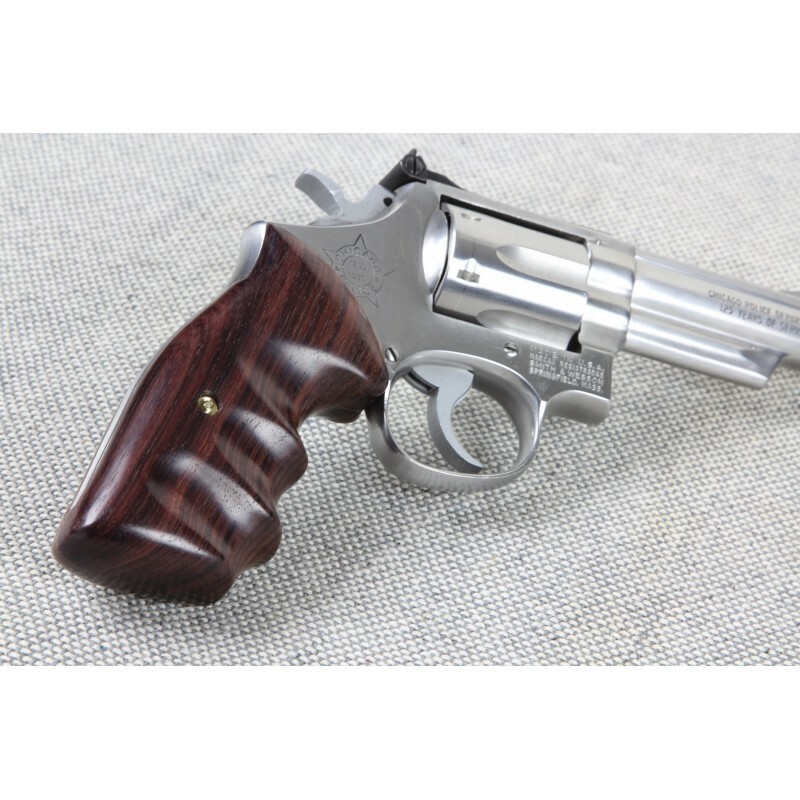 This is on my S&W M 58: they fit your hands unlike the original target grips. I look forward in shooting full load 41 magnum rounds. They are a step from Old School grips of the past. True craftsmanship went into this design.